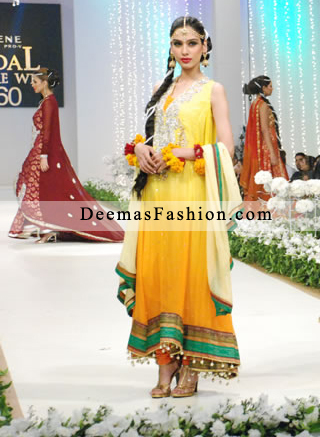 Tags: 2 Tone, Churidar Pajama, Heavy, Mehndi Mayon Henna, Orange, Yellow. Top:- Yellow double tone frock has been adorned with embellished neckline. Banarsi borders implemented on hemline. 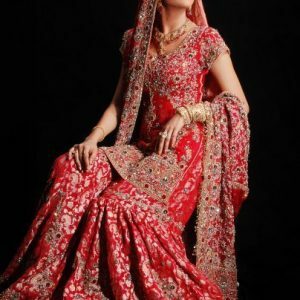 Embellishment work includes silver kora, dabka, stones, sequins, beads and tilla work. Bottom:- Orange pure grip churidar. Dupatta:- Off-white pure chiffon dupatta finished with double piping.